Neighbors Do Not Have a Right to Poison You. Do not accept victimization. 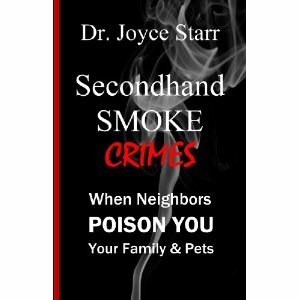 Don’t allow chain-smoking bullies to destroy your health and happiness.Learn about a condo mom who won a landmark secondhand smoke case and how she did it. Read about condo board bullies who are singing a different tune today. Education works! If you know a chain-smoker who needs a wake-up call, send this book.